For beginner as well as interested amateur this SLR-camera is an interesting choice. Let me summarize it´s advantages and disatvantages. Cheap body and lenses, higly available everywhere. Good exposure measurement, works well in most situations. Other bodies with same lens mount even cheaper available as 2nd body. Single battery with long lifetime reduces cost.  No autofocus, this might not be a disadvantage for some people. No multiple exposure. Can be bypassed with a trick, but a feature that I definitely miss. 1/1000s limit. Usually not a problem. Flash sync only up to 1/60sec and not on 2nd curtain. Disadvantage for flash fotography. For cleaning and repair, I have provided some pictures of how the first parts of the X700 can be disassembled.
! 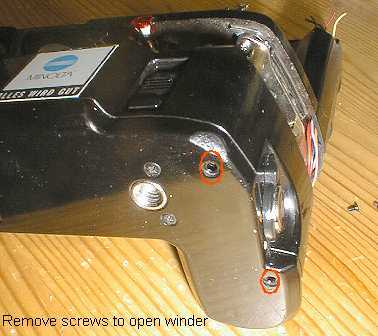 NEW: X700 focusing screen removal illustrated ! The frequent electronic failure of the X700 seems to be a simple failure of two 220uF/4V capacitors. Simply replace them and it works again ! 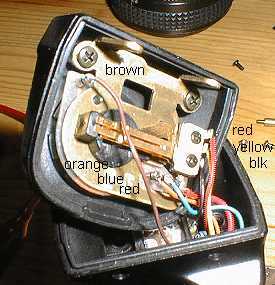 I´m currently looking for a hint how to repair a rewind lever that is turning hard. Anyone knows something ? 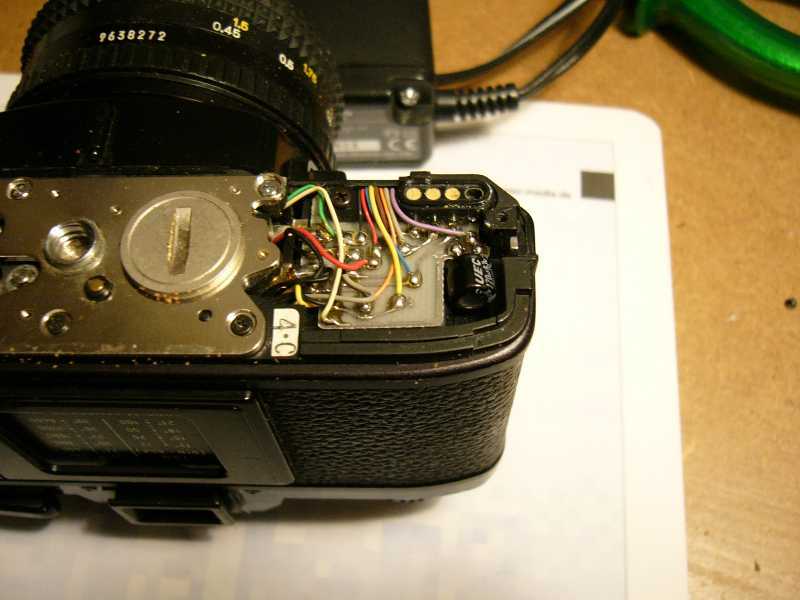 This also caused my MD1 motordrive to fail after a few dozend of rolls of film. I now had some X300 under repair. 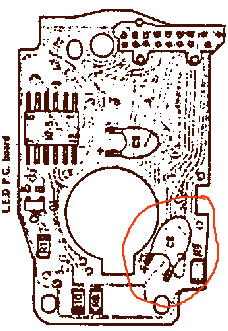 So far I found that the X300 has only one capacitor in the bottom area. 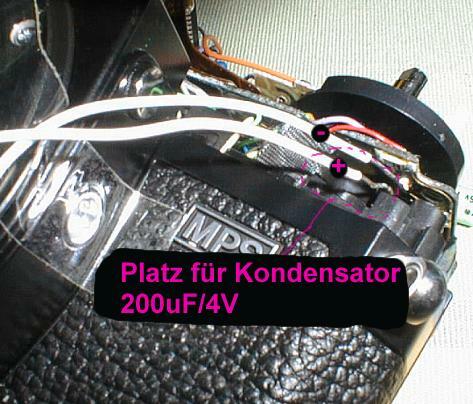 Not the second one like X700 under the PCB for the film sensitivity. 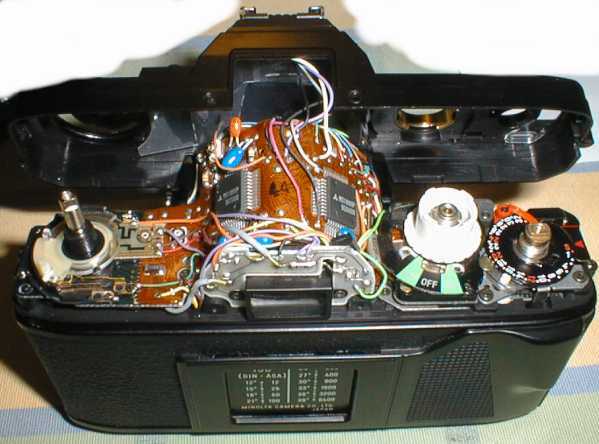 I also had a X300 where the rewind lever made cracking sounds, the curtain moved little and shutter did not work. There the problem was that the camera has been dropped and the little gears (blue and white) in the base plate were loose. There was one little screw to adjust those gears again. Ask me if you need details. The newer X370s is almost the same. For the fully mechanic camera, I have adjusted the shutter timing. Ask me if you need advice how to do this. I have some experience now in rethreading the AV and TV string of the SRT camera models. If the string is broken, first try to get a similar thread that has same length than the remaining pieces. Use a string that doesn´t change it´s length over time. You need a knot at both ends. The way the thread is wound through the camera can be found in this image. 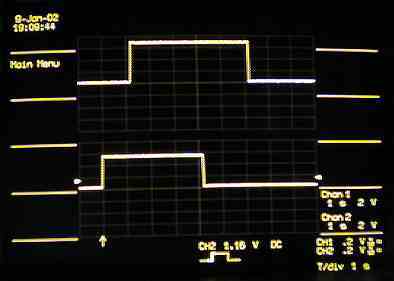 What you need: Oscilloscope or frequency counter, measurement tool. 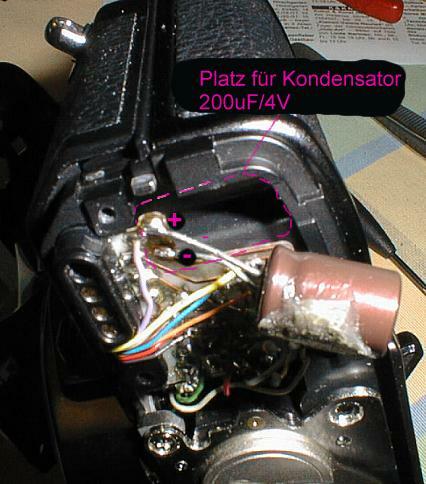 The tool is placed at the film plane behind the shutter and the camera is faced towards a light source (strong lamp). It consits of two universal photo-transistors that will switch on, if the light of a lamp hits the sensitive surface of the device. This simple setup will allow to measure the opening and closing of the first and second curtain. 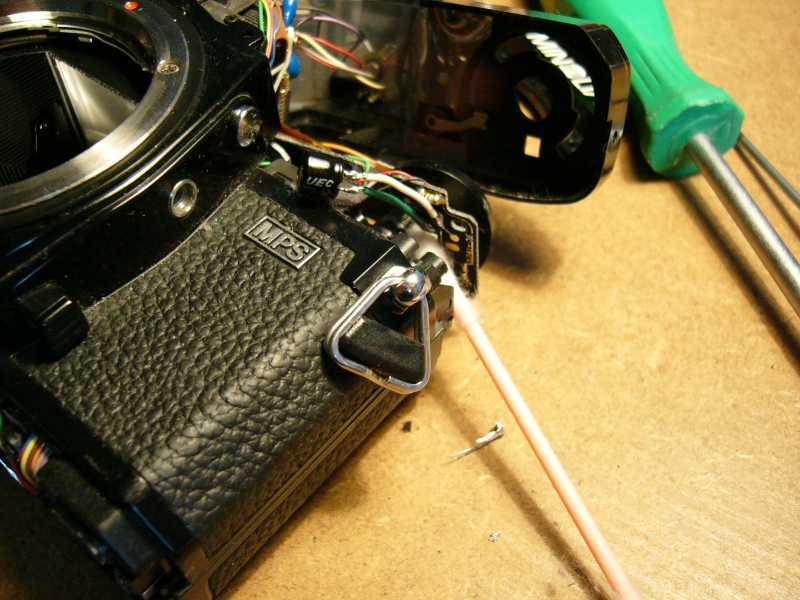 It is not 100% accurate, but will help to adjust the shutter speed relatively precise. Also it will allow to adjust the curtain travel time for cameras like the X700 which have a hoizontal travelling curtain. 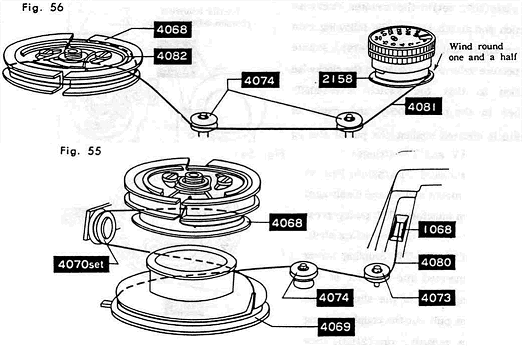 The diagram on my trusty LeCroy scope looks like this DIAGRAM. 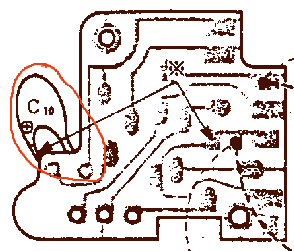 The two traces show the signal at the two photo-transistors. From the transitions one can measure the curtain travel times for first ans second curtain and the total exposure time. 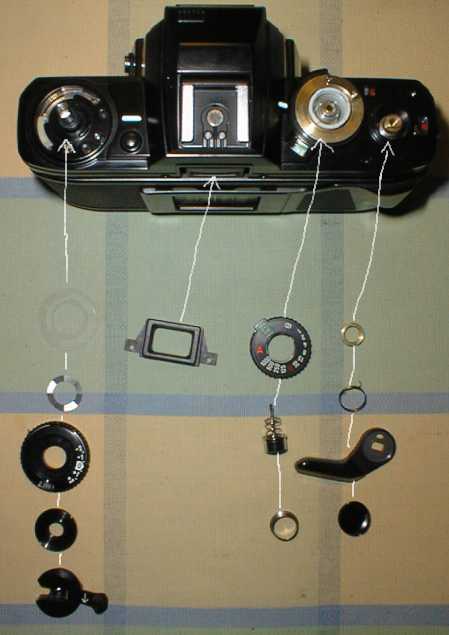 Also exposure varations from left to right film area can be detected. Symptoms: - Motor went hot, strange loud noises, battery drained fast. Solution: Replace motor. 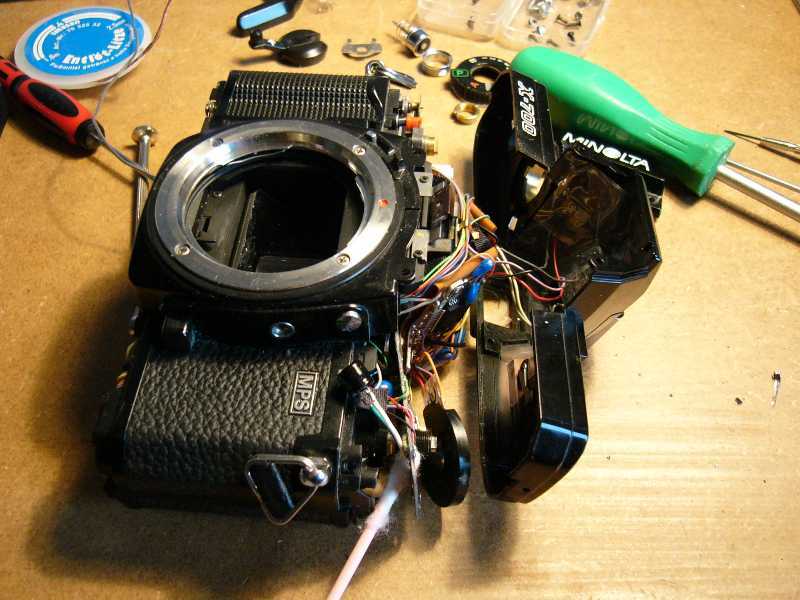 I tried several things to fix the motor and disassebled the motor completely but failed to fix the problem. 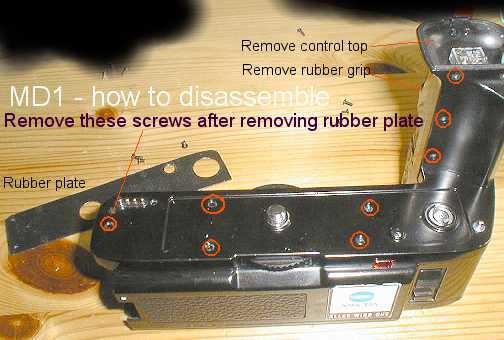 Other solution: Repair motor. 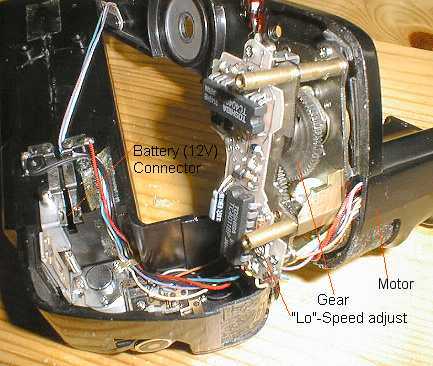 You can take apart the motor itself completely. After unsuccessfully trying to find a spare motor (Matsuhsita), I took is apart and repaired it. Very important: Do not try to put oil or grease on the motor´s axis, the sinter bearing will not work afterwards. I had to cleanup everything with terpentine. 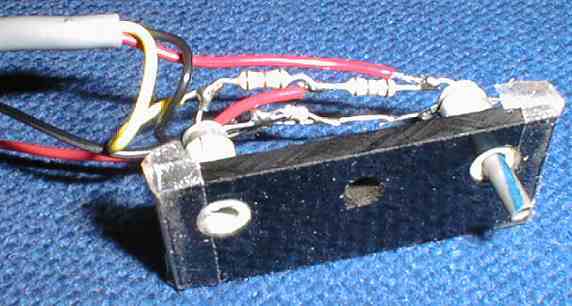 The motor is 12V DC and has a coil resistance of about 3Ohms. 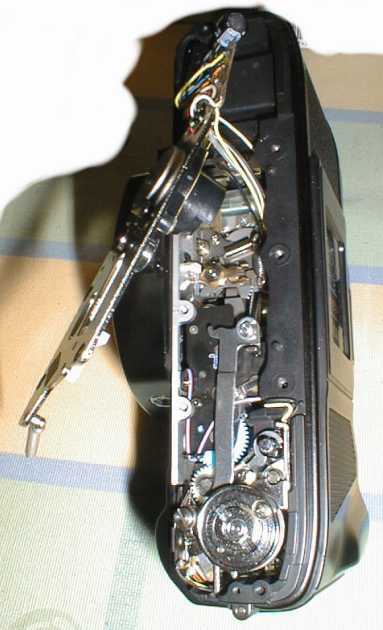 Other problem on MD1: There is a little black plastic ring inside the gearbox which tends to be squashed after long use, then the mechanism also tends to fail. Thank you all for the frequent visits on this page ! Feel free to send me an email for suggestions about what you´d like to see here.